ABERDEEN PROVING GROUND, Md. 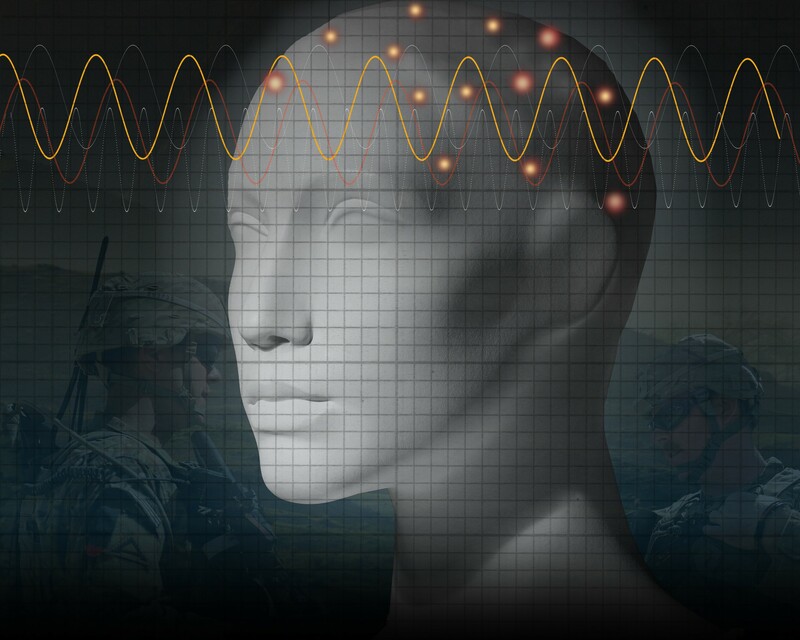 (Army News Service, Dec. 24, 2015) -- Electroencephalography, or EEG, has been used for decades to measure voltage fluctuations in different parts of the brain to graph a person's neural patterns. EEG patterns, or waves, provide insights into what the person is seeing, hearing, thinking and feeling, sort of peering into individual's mental and emotional state. Medical facilities use EEGs extensively to test for such things as psychological disorders, brain injuries and monitoring the effects of sedatives and anesthesia. 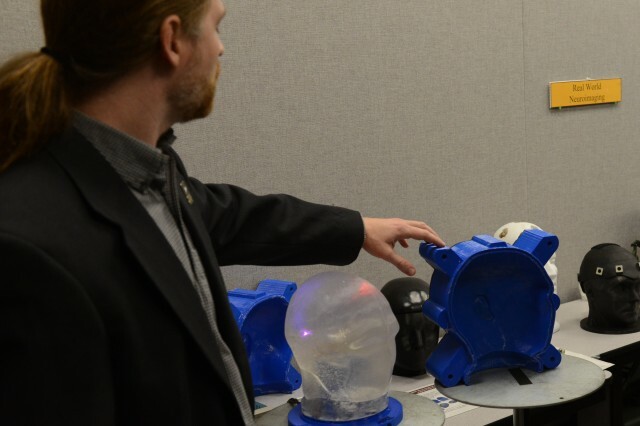 The Army Research Laboratory, or ARL, also uses EEGs to help design equipment for Soldiers to help them with complex cognitive tasks, said David Hairston, an ARL neuroscientist here. The basic problem with all EEG devices, Hairston said, is that "there are really no set standards within the EEG community of how you confirm the equipment is working the way you really think it is." There are ways to see if other research and medical devices like magnetic resonance imaging machines and CT and PET scanning equipment are working, but not for EEG, he said. For instance, an MRI can be checked for accuracy by placing a special ball filled with oil into the machine that is a perfect sphere, he said. The MRI then takes an image of that sphere. The image produced should then look like a perfect sphere. Otherwise, adjustments need to be made. It's sort of like getting an out-of-focus picture in focus with a camera. "EEG is unique because it requires having a biological voltage fluctuation, which is very difficult to recreate" for testing the equipment, he said. "So, at the moment, there's no real way to confirm this equipment works. He then explained why recreating a biological voltage fluctuation is difficult. A lot of electrically unwanted noise is generated whenever the EEG is in use, Hairston noted. The neurons in the brain produce very minute electrical voltages that the EEG detects as patterns. Electrical interference from outside sources can overlay those patterns because the high sensitivity needed to pick up the brain's signals also picks up other electrical sources. Even such things as room lighting, slight movements of the sensors connected to the person's head, radio waves and electricity coursing through nearby wires can impact the patterns. "So, we're taking the initiative to actually build the benchmarks or standards" of getting a pure biological wave using a human surrogate known as "phantom head." Brain waves from a human are recorded and placed inside phantom head, he said. The recording is then played back through wires inside the head to sensors on the outside. Once phantom head is hooked up to an EEG machine, aberrations to the wave patterns can be detected and those electrical interferences from outside sources can be accounted for and subtracted during testing so that a pure EEG reading of the test subject can be made, he said. The biggest challenge Hairston's team is up against is designing an optimal phantom head. The best they've been able to come up with has been a gelatin head, made of animal fats. It's got about the right amount of salt to allow the material to carry electrical signals through the material - similar to the human brain. The problem with the gel, he said, is that it rots pretty quickly and needs to be refrigerated. Over time, it degrades, and a new batch needs to be made. Other ARL labs have been assisting with different materials, Hairston said. A promising material is conductive thermoplastic. Phantom head has sparked a lot of interest in phantom head, Hairston said. His team is collaborating on it with researchers in Taiwan and Germany. Some EEG manufacturers are curious if their devices are performing as intended. Some have even sent their devices to ARL for testing. Hairston emphasized that ARL isn't in the business of testing commercial equipment, except to the extent that it confirms that phantom head is producing good benchmark results. For instance, he said one manufacturer produces an EEG that costs about $50,000. Another makes one for just $350. "Everyone in the research community laughed when we decided to compare signals from both," meaning they thought the $350 would clearly be inferior. The results were surprising, he said. The lower-cost EEG device was just as good for certain applications. That could save research labs across the country a lot of money if their EEG testing involves those applications that the $350 device tests well at. In the near future, Hairston said he hopes to publish results for phantom head. 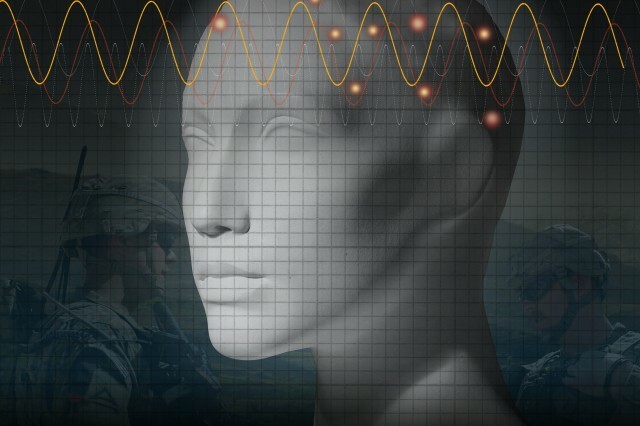 It could soon become the EEG standard for the Army and for industry.